5 Tibetan Rites is a series of exercises that I learnt while doing my Yoga teacher training. I practiced them for a few weeks and felt great. Then I stopped and moved on to something else.. as you do..
Two weeks ago one of my class participants mentioned the Rites and said she had been doing them for a couple of days and never felt better. And I thought I’d share the practice with you. The Five Tibetan Rites is a system of exercises that dates back to more than 2,500 years old. They were first mentioned in a publication called The Eye of Revelation by Peter Kelder in 1939. The Five Rites is a form of Tibetan yoga, which is similar to the Indian yoga practice. 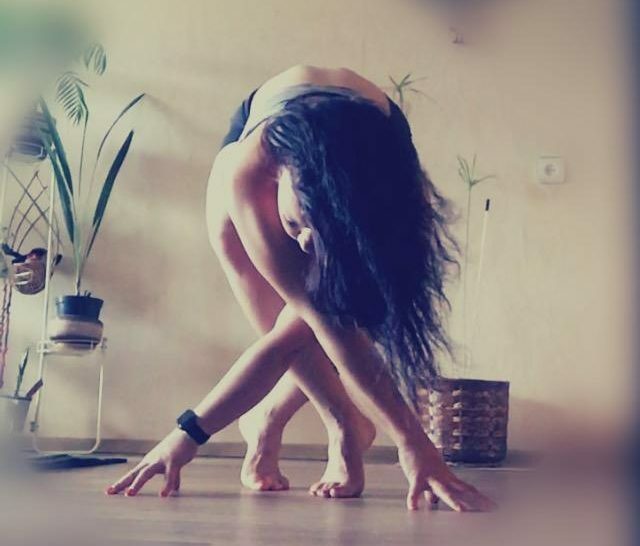 The difference between the two is that traditional Tibetan Yoga style as well as the Five Rites is more of a flow or Vinyasa style, with movements flowing rather than being held as “static positions” traditionally practiced in India. It is said that they aid in improving health and support emotional well-being as well as enhancing mental clarity, memory and balancing hormones. So how exactly does it work and why are these exercises so good for you? I’d like to ask you to read this with an open mind and if you do believe in chakras then you should be quite comfortable with the terminology. If you are on the fence or a non believer then just refer to them as energy centres. They should preferably be performed in the morning on an empty stomach. You can watch a video on how to perform the movements or read the description below. Stand with your arms outstretched and horizontal to the floor, palms facing down. Make sure your arms are in line with your shoulders. Your feet should be about hip distance apart. Draw the crown of your head up toward the ceiling. Focus on a spot in front of you so that you can count your rotations. Spin around clockwise until you become a little dizzy. Gradually increase the number of spins from three to 21. Breathing: breathe in deeply as you lift your head and legs, and exhale as you lower them.The second rite strengthens the abs and stimulates the energy center associated with the pancreas. Breathing: Inhale as you arch your spine and exhale as you return to an erect position.This exercise opens the solar plexus, heart and throat. It also helps cleanse and balance the emotions. Breathing: Breathe in as you rise up into the pose, hold your breath as you tense your muscles, and breathe out fully as you come down.This pose increases energy to the sacral region and is a gentle way to strengthen the thighs and glutes. I have also found a very good article on the rites, its benefits and feedback from people practicing it. Click here to access it. Give it a go and see what you think about it! It does not take a lot of time and you do not need a lot of space to perform the rites either. Have fun with the practice and let me know how you are getting on!